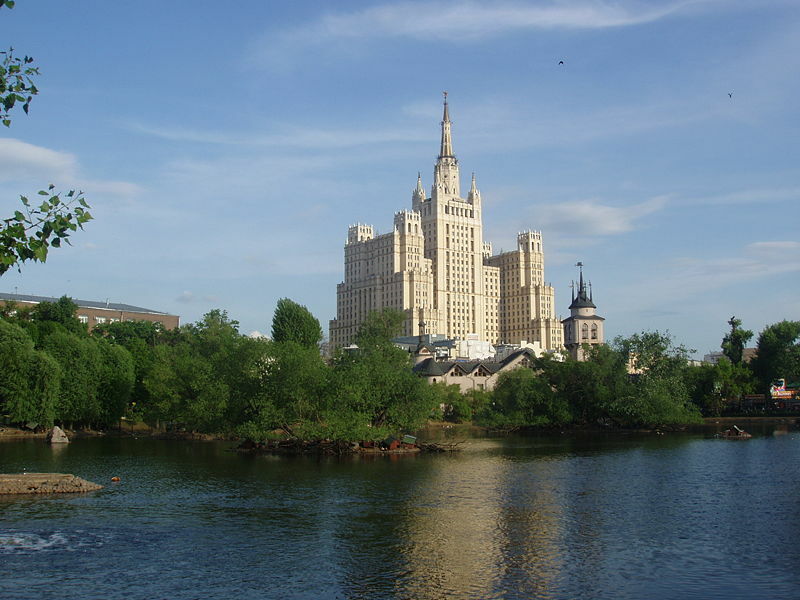 „Seven sister project” in Moscow is one of most ambitious projects in mid-20th century. 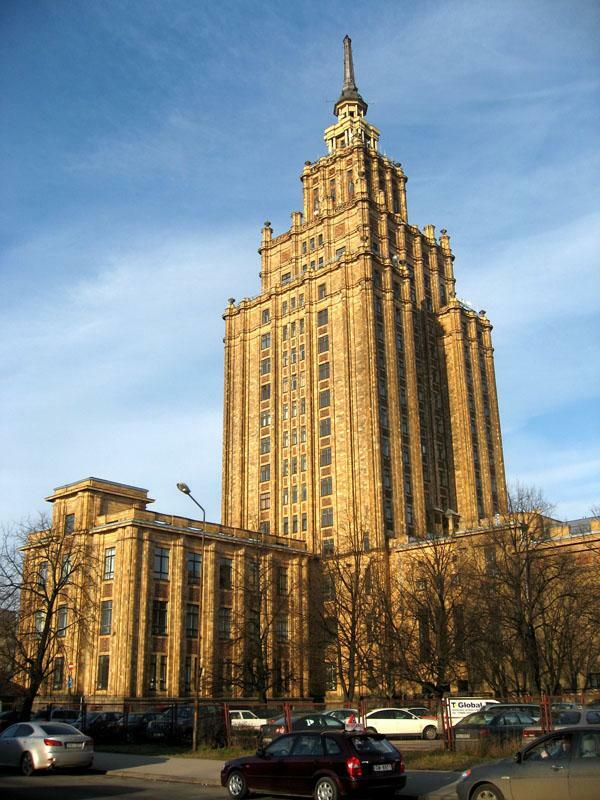 Between 1947 and 1953 on the orders of Jozef Stalin they built seven similar skyscrapers that were meant to be rivals to USA’s skyscrapers. 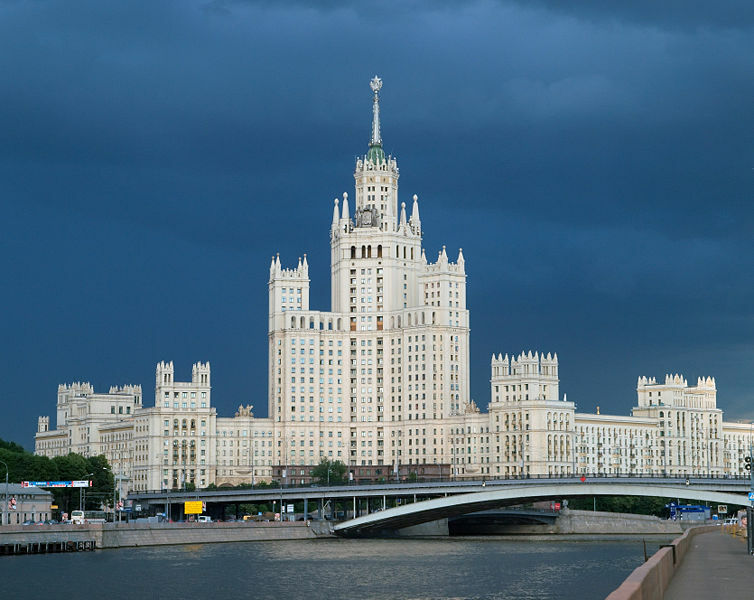 Nowadays these buildings host Hotel Ukraina (198 meters, Europe’s tallest hotel), Kotelnicheskaya Embankment Apartments (176 meters), The Kudrinskaya Square Building (160 meters), The Leningradskaya Hotel (136 meters), The Ministry of Foreign Affairs (172 meters), Moscow State University (240 meters, Tallest educational building in Europe) and The Red Gates Administrative Building (133 meters). 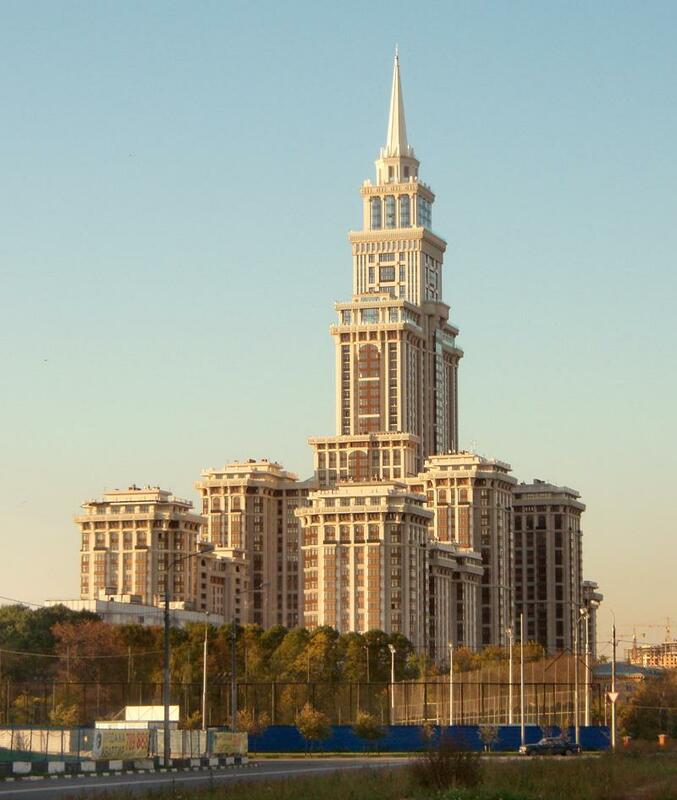 In 2001 the construction of Triumph palace (also known as „the Eight sister”) started – it is 57 story building with approximately 1000 apartments. 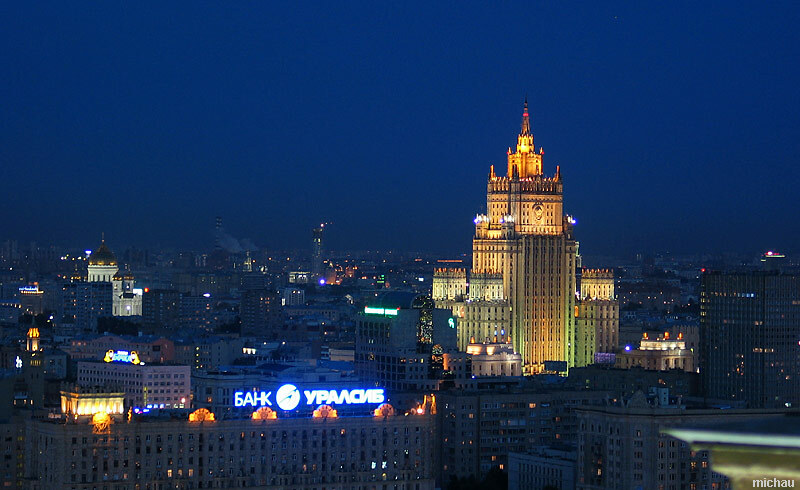 It was completed in 2003 and for 4 years it was known as Europe’s tallest building (264,1 meters). 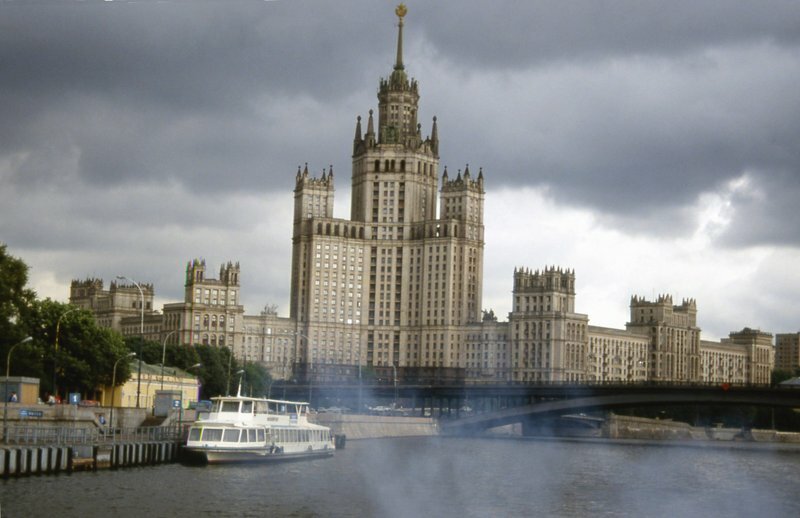 Similar buildings to the original „Seven sisters” project can be found in some ex-Soviet Union countries. 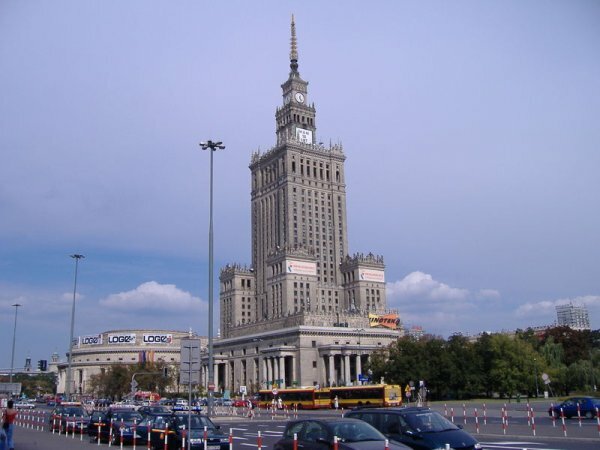 Most well known is Palace of Culture and Science (237 meters) in Warsaw, Poland. 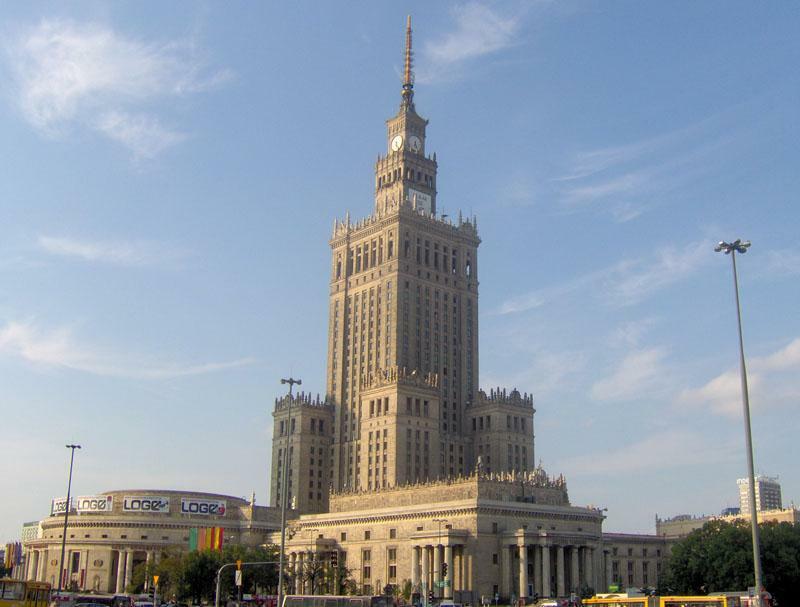 It is tallest building in Poland and 8th tallest in Europe. 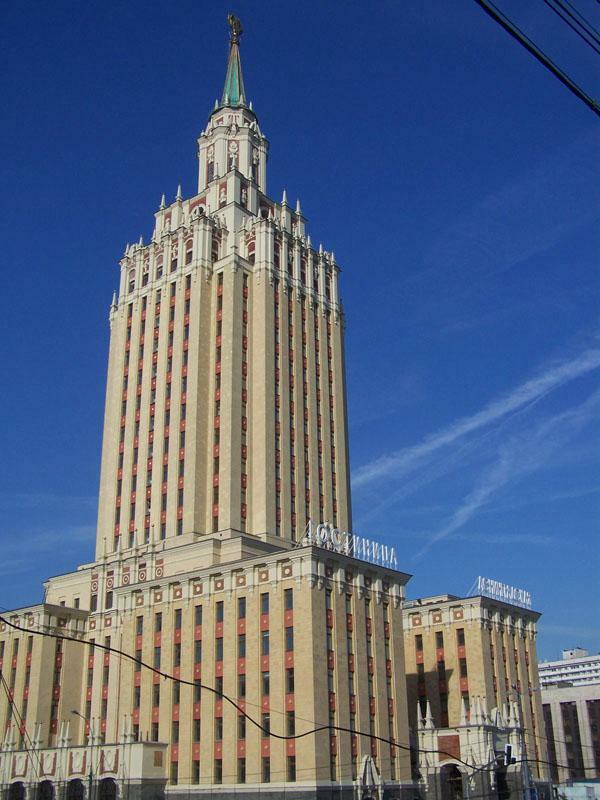 Locals call this building „Pekin” (Bejing in Polish, because of its abbreviated name Pałac Kultury i Nauki – PKiN), „Pajac” („Clown” in Polish, because word sounds similar to „Pałac”), Stalin’s syringe” and „Russian Wedding cake”. 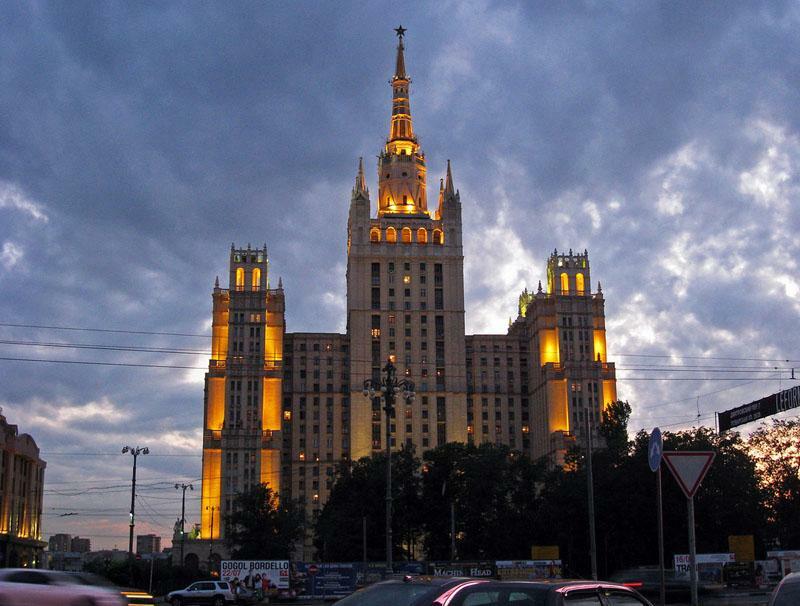 Another attempt to make Stalinist style building was in Kiev (the Ukraine) – Hotel Ukraina. 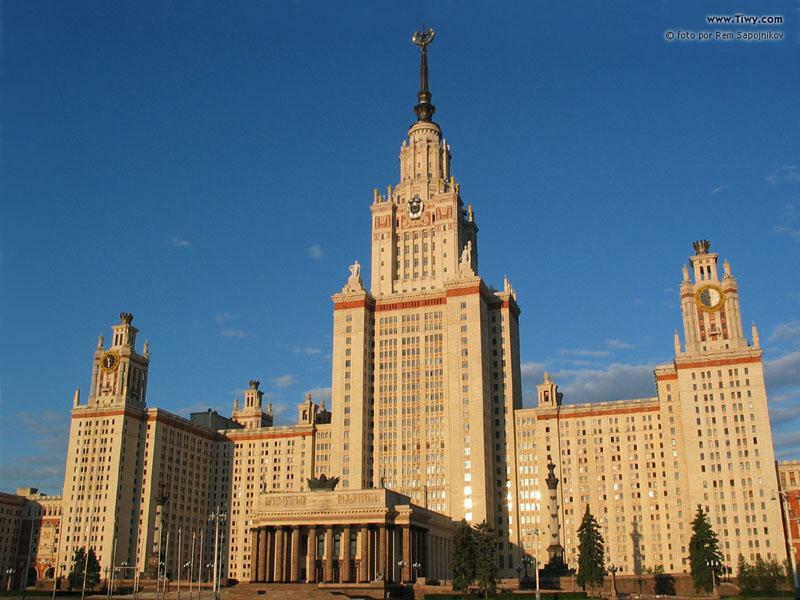 Now I know where Orwell got his idea for the ministry buildings in Nine-teen Eighty-Four. The information about POLAND is wrong, no one call it in that way. 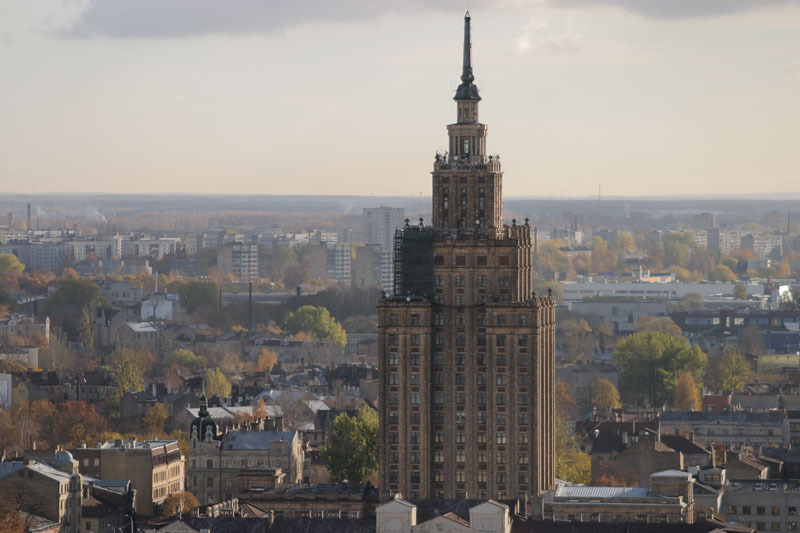 I have lived in Poland quite long time and I no one heard about calling the building that way…. Is like saying that the Liberty Statue is basically a guy dress like a girl, that story is well known also in INTERNET. You are wrong. Polish people (especially from Warsaw) really call PKiN exactly in that way. I have heard also Zemsta Stalina. Yo! Them buildings real nice and all but dont you all have more than one archemetect? It be like the projects were I grew up – every building the SAME!!! Poland never was in Soviet Union. 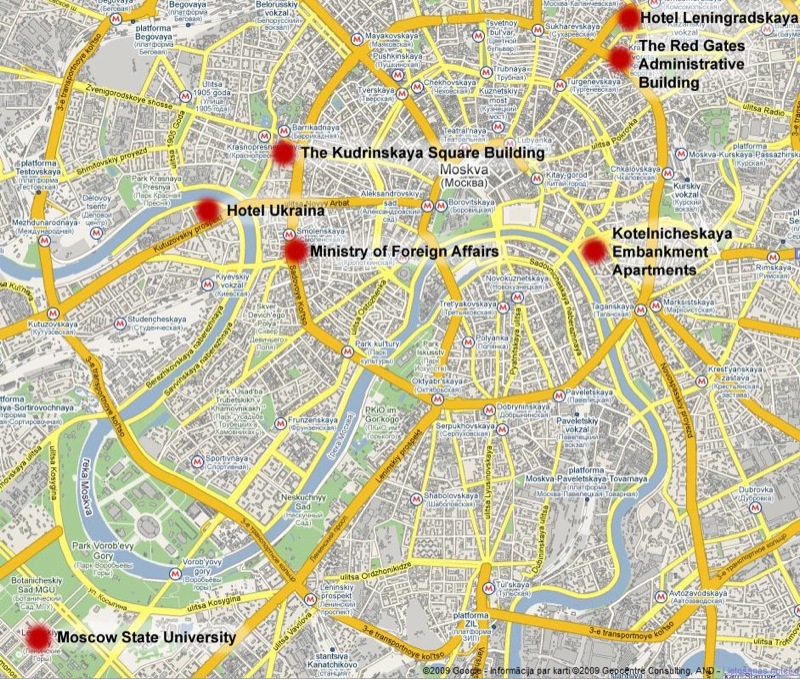 That’s true: Poland never was in Soviet Union – use a map. 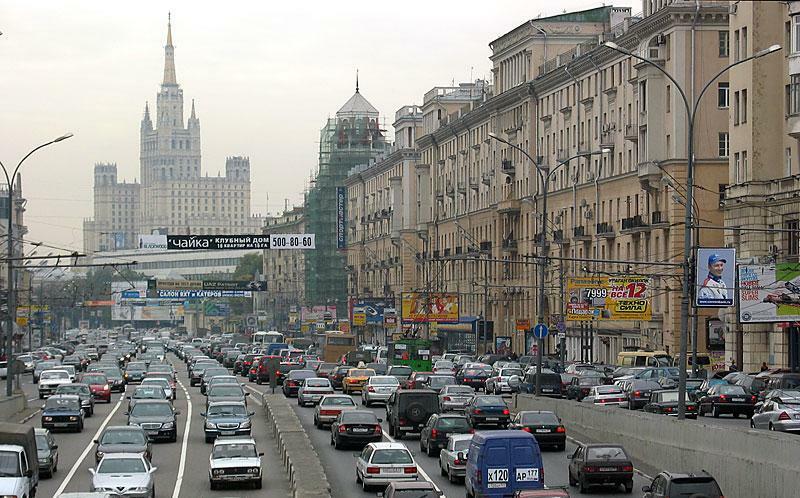 It was behind the iron curtain – its similiar. It’s true that about a _half_ of Poland territory was incorporated to Soviet Union after 2WW. Now this territory is located in Liethuania, Belarus and Ukraine. 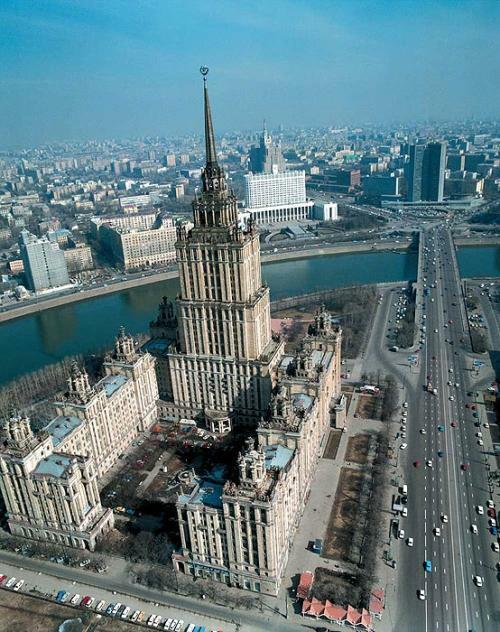 But Poland, as “independed” country with its capital Warsaw was never administrative incorporated to SU. Poland has never been in a damn soviet union. 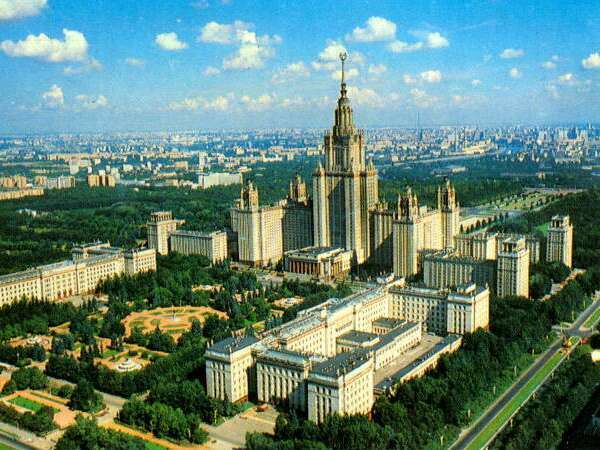 It was behind iron curtain, like east germany, but never a part of a soviet union, thanks God. 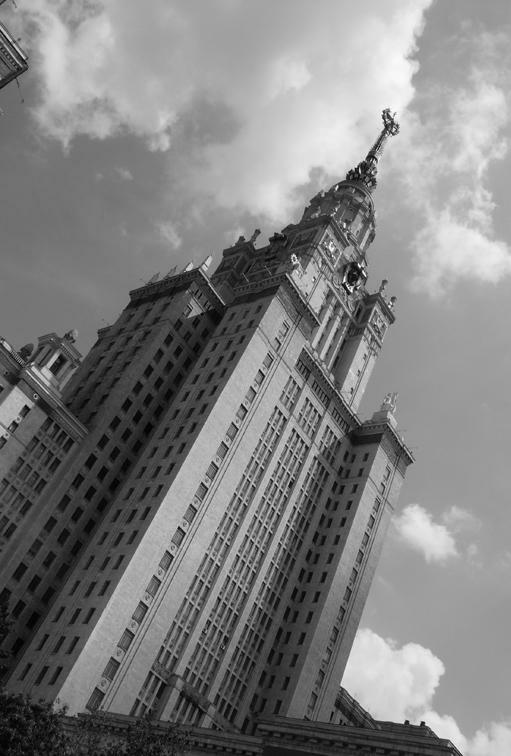 And these buildings are ugly, we are still thinking how to get rid of this ugly building of soviet style in a beautiful Warsaw. maybe not ugly…. 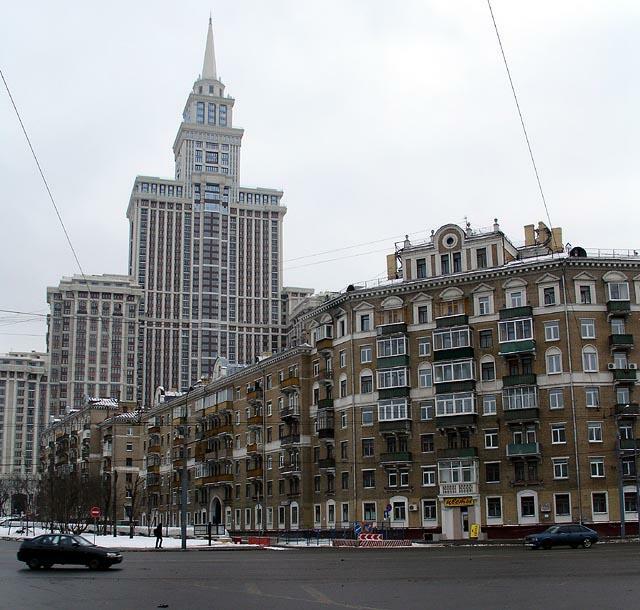 just russian style = see more similar architecture. Drunk Russians have no taste. Ofcourse, and we also copy your way of walking on two legs, your way of reading and writing with a pen, your way of eating with a cuttlery and plates, your way of breathing through nose, your way way of solving 2 + 2, your way of brushing teeth, your way of living dressed up, your way of making babies, etc etc etc. Once NASA researched about a pen that astronauts could use in every condition, vacuum, upside-down, something really reliable. Russian astronauts used pencils (a simple and effective solution, no need expend thous of bucks for nothing). That’s why I love the Russian Way to solve problems. In fact, the pencils were a bad idea as the shavings and graphite fell about and were likely to get stuck in pieces of equipment – like the air system. So it may have been cheap – but not so smart. That’s why the yanks designed the pen – and because they could afford to. The whole space race thing isn’t relevant to skyscapers. I guess you never heard of mechanical pencils? Continuous lead, no sharpening. …..Except the Pencil must be sharpened, sending shards of graphite and wooden shavings floating around the cabin of the spacecraft…not sure how much of a problem that was with the crews of Soyuz and Salyut & MIR..
As always America leads the way for the copycats! 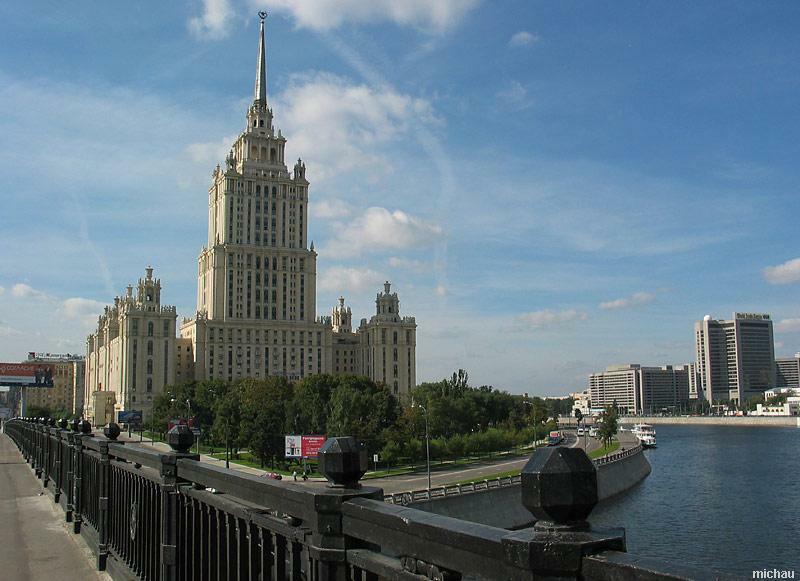 Stalin hated America but copied buildings in New York! 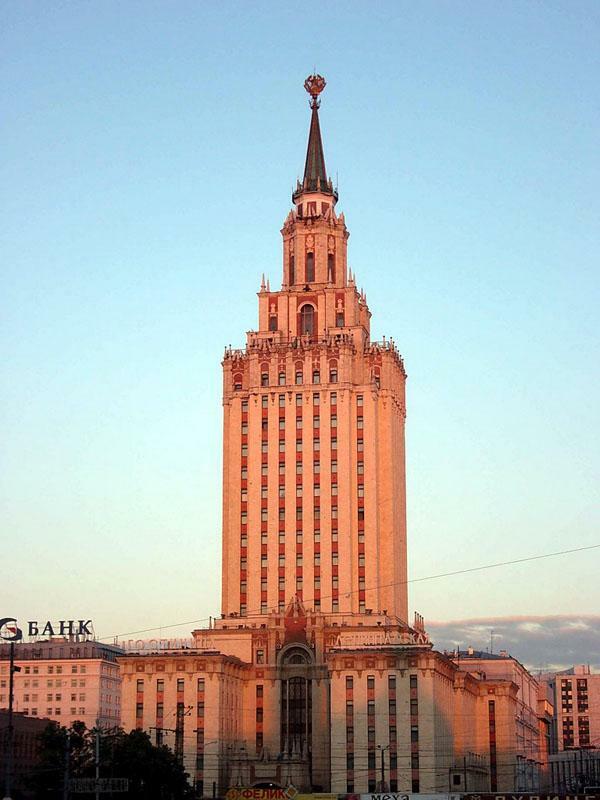 Remove the wings from Moscow University and add about 50 floors to it and it would be the Empire State Building! 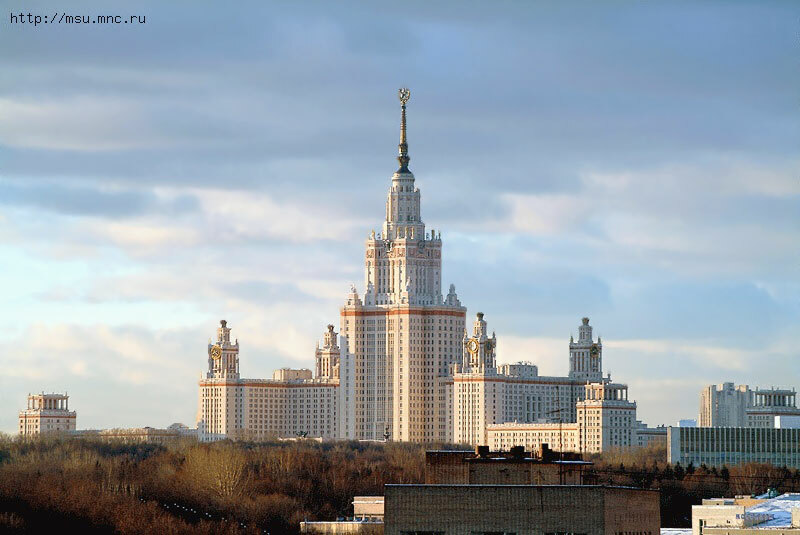 Lol, this shows you’ve never seen MSU MB (main building, that’s how it’s commonly called amongst the students) or Empire State Building (or both). In fact, they have almost nothing in common. Even amongst the Seven Sisters, MB stands out considerably, not to mention something as unrelated as ESB. Beautiful buildings I would love to see some photos that show he interior of them. No, inside they are old and dirty. You don’t really want to see it, trust me. 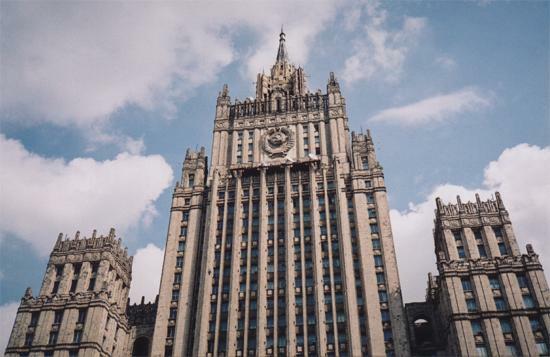 We have a similar building in Bucharest. Casa Presei Libere (The House of the Free Press) is a building in northern Bucharest, Romania, the tallest in the city between 1956 and 2007. Though I’m sure the Soviet planners meant to invoke the Hesperides, to American ears it probably would have evoked the Seven Sisters oil companies–the companies that came out of the break up of Standard Oil in 1911 plus four other majors–Esso (later Exxon), Socony (later Mobil), Socal (later Chevron), Gulf Oil, Texaco, APOC (later BP), and Royal Dutch Shell. Thought you would enjoy the irony. Very nice pictures. They have good resembles with some buildings here in London. I would dearly want to see them from inside. 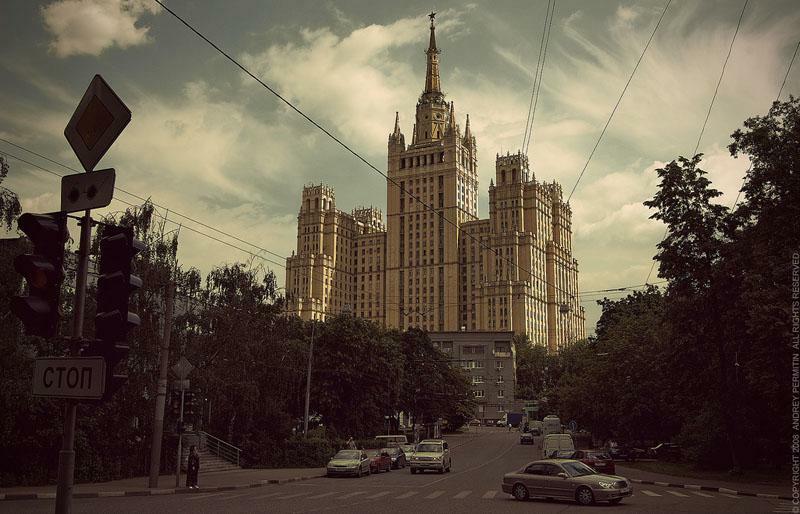 NONE CALLED THE “PALAC OF CULTURE” IN THAT WAY. Pitty because normally I like the site but not the lies. Poland was never in the Soviet Union. Territories which were Poland’s land before WW2 were in the Soviet Union, they are now known (unfortunately) as Ukraine and Belarus. But to say that Poland was in the Soviet Union is a historical error. Please correct it.